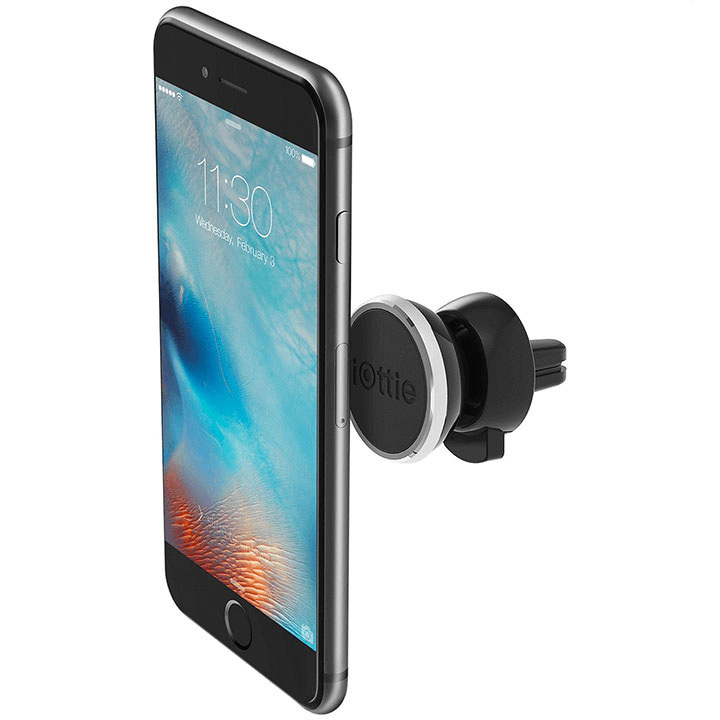 The iOttie iTap Magnetic Vent Mount is a sophisticated and fully functioning phone mounting solution that provides a strong grip for all smartphones using a magnetic hold. Utilizing an aluminum bezel, the iTap Magnetic Vent Mount is built with high-quality materials and has a contemporary design which makes it stand out from the others. Unlike other vent mounts, the iTap Magnetic Vent Mount was designed to allow for full 360-degree rotation thus providing the user with a better viewing angle. 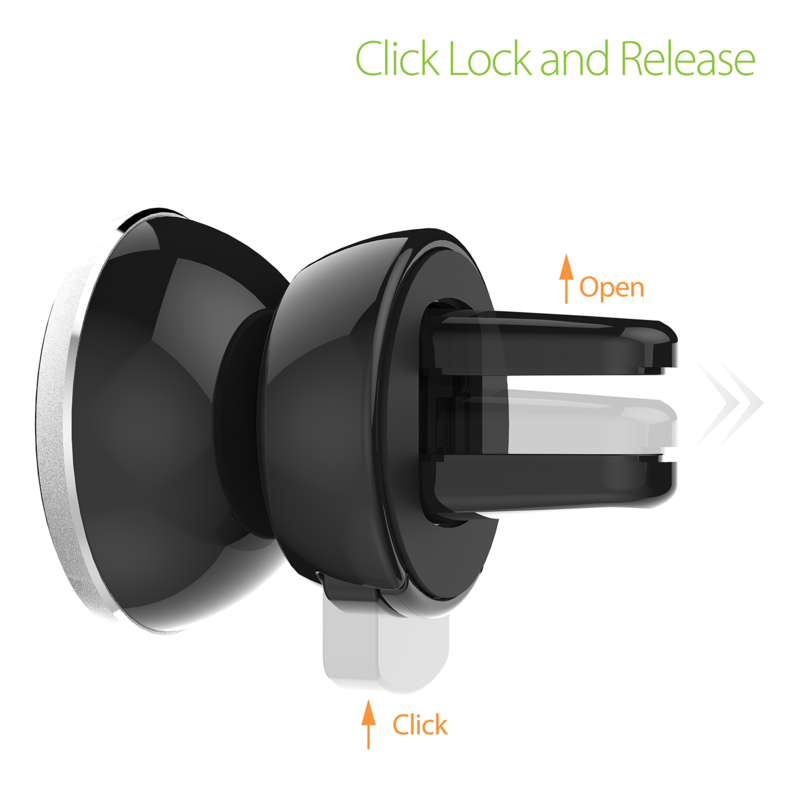 It provides a unique One Click lock and release feature along with silicon pads that are placed on the connecting arms to prevent damages, while also minimizing vibrations to the device. 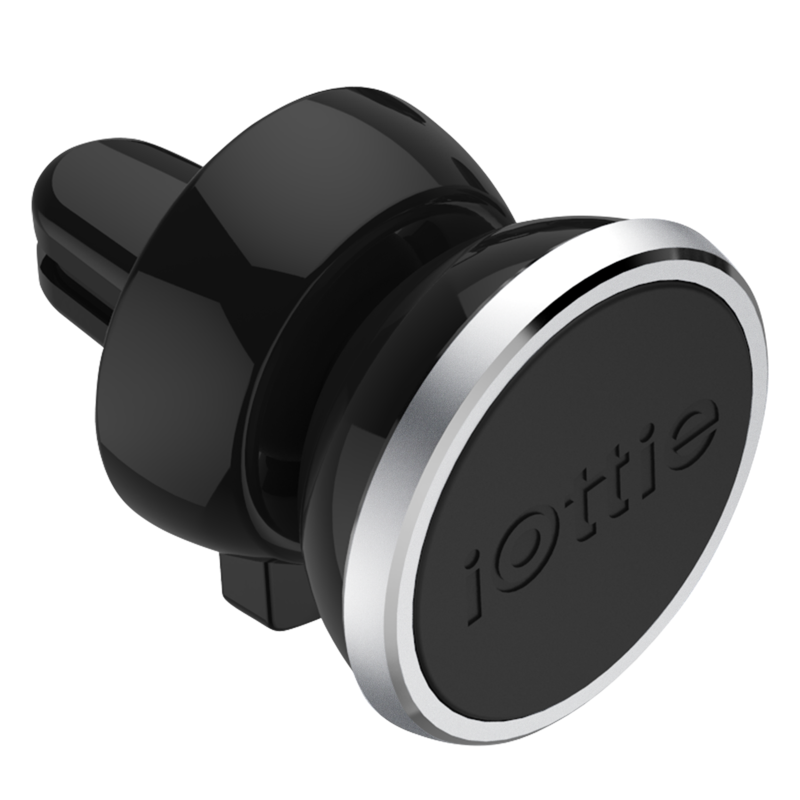 Using rare earth magnets, users will be able to notice the powerful grip once they place the magnet close to the mount for a firm locking system. The iTap Magnetic Vent Mount accommodates most smartphones as well as their cases by using the provided metal plate. It is more compact than most vent mounts in the market which provides for a cleaner, organized look. Simply attach the magnetic plate to your smartphone and mount with one hand. 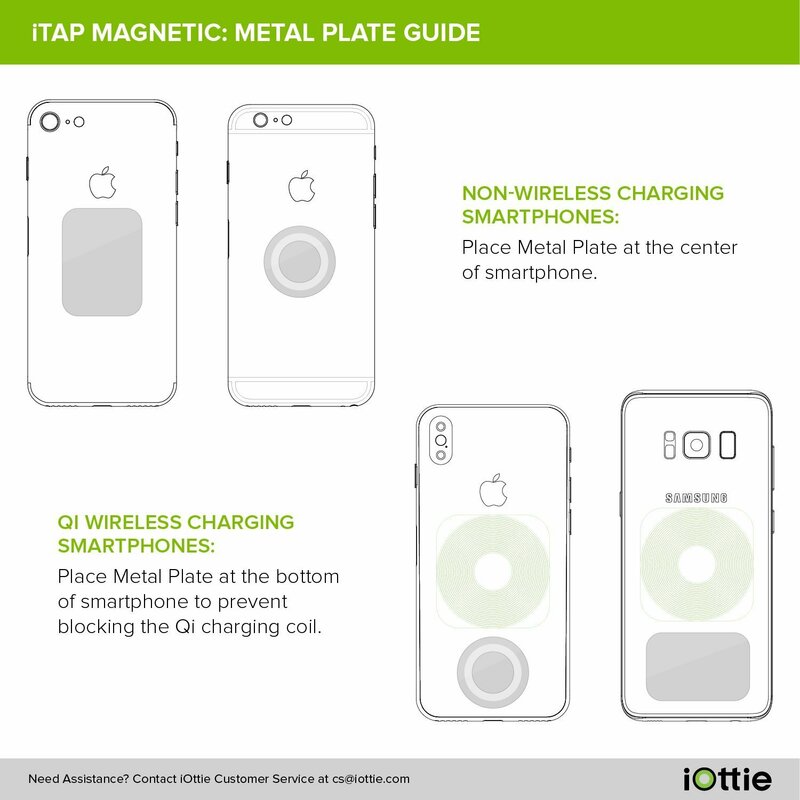 A Metal Plate system and 6 rare earth magnets provide smartphones and cases a strong hold on the road. 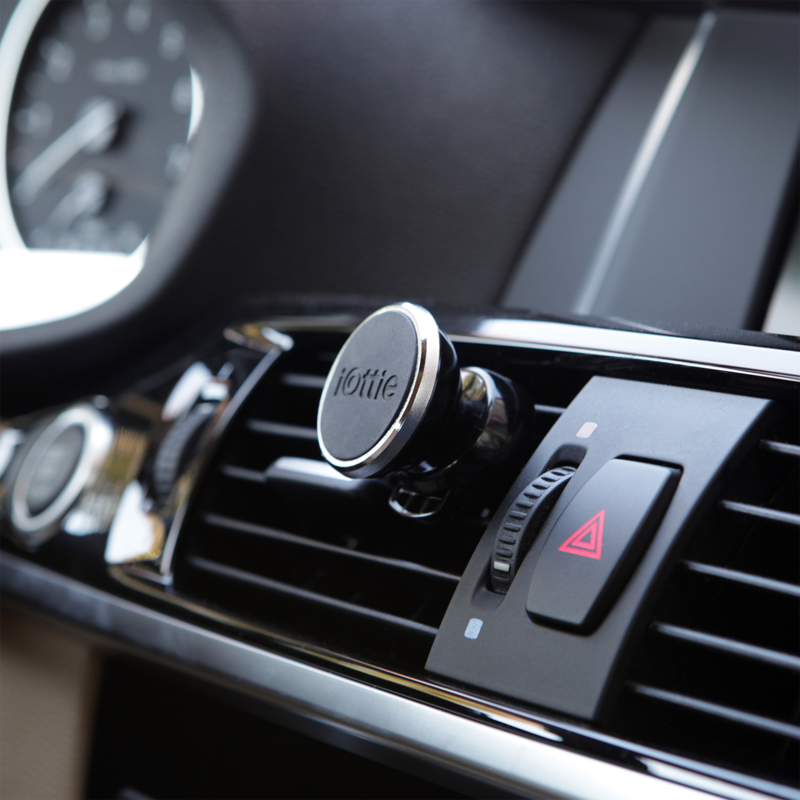 Press the Lock and Release button and position directly onto the air vent blade. 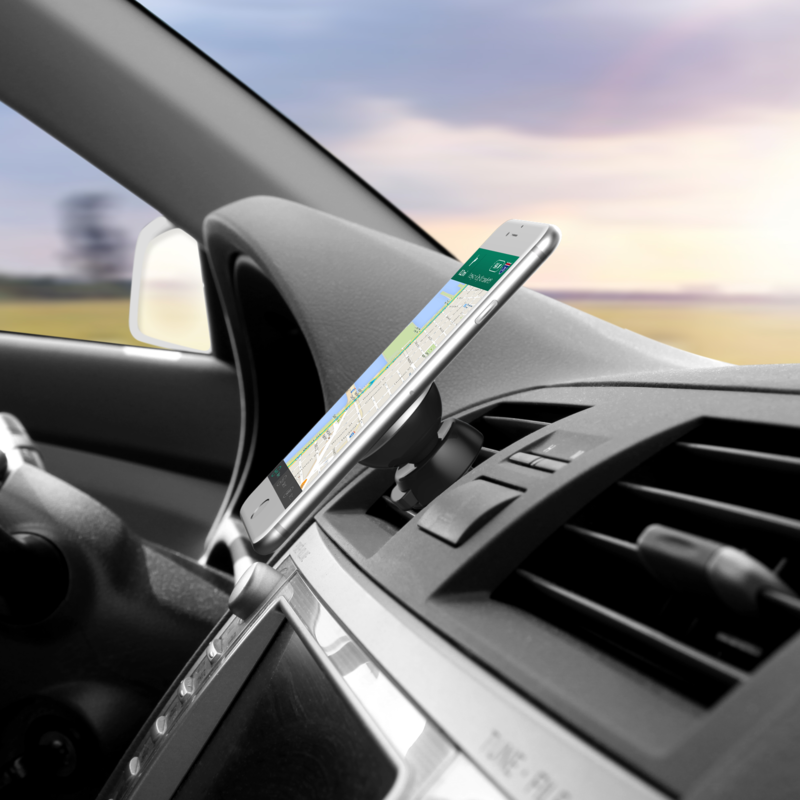 Strong magnetic hold secures smartphones and cases on the road. Ball joint pivots and rotates for custom viewing angles. Easy Clamp installation with one click. Includes two metal plates for expanded device compatibility.